This book is not by any means new, but it is fantastic! We have checked it out from the library and read it at school, but I am excited to say that I now own our very own copy thanks to the wonderful people at Penguin Young Readers. 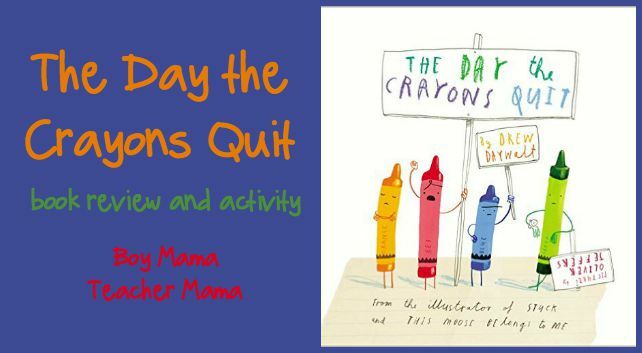 And what is even more exciting is that BMTM has been asked to preview, review and share the sequel to The Day the Crayons Quit called, The Day the Crayons Came Home which will be released mid-August. 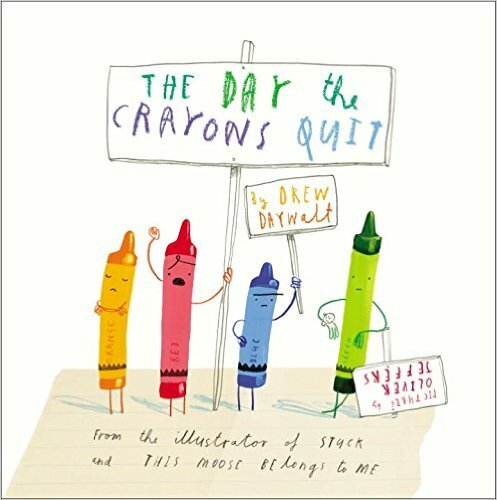 Red crayon complains that he works harder than any of the other crayons, beige complains that he is tired of being referred to as “dark tan” and blue says he is happy coloring “oceans, lakes, rivers, rain drops, rain clouds and clear skies,” but is upset because he “is so short and stubby that [he] cannot even see over the railing in the crayon box anymore.” The book continues to share a litany of problems experienced by all the colors, but all Duncan wants to do is color. So, he comes up with a plan that is sure to please all the colors in his box. 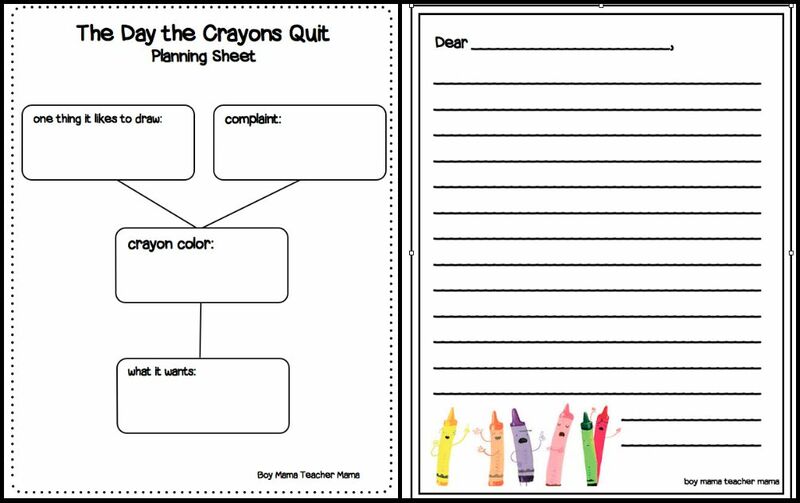 Have each child choose a color and use the planning sheet to write a letter to Duncan (or someone else) sharing that color’s complaint! To download the activity, simply click the image above. To download the UPDATED templates, click here. Hi! Could I translate the activity in French? I would copy the credit mention on the bottom with your information. One of the most-requested books in our house!